Life in East Runton is so different to anywhere else I’ve lived. It’s just outside Cromer and is very much connected to the big, wide world by bus and rail, but a lot of the time it seems utterly apart, bubble-wrapped in a rather engaging time-warp. On Christmas Day we decided to pop down to the beach before dinner. 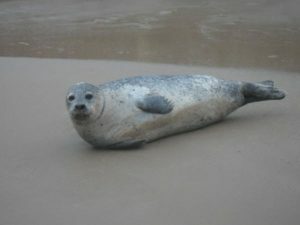 At high tide we were regularly seeing a seal on the beach. We were pretty sure it was the same one each time. He (or maybe she, we haven’t quite got the hang of this yet…) had the same laid back attitude when people and dogs approached and a rather nonchalant way of arranging his flippers which made him look as if he were personally greeting each passer-by. We named him Runty, not political incorrectness at all but merely alluding to his appearance on the beaches of East and West Runton. 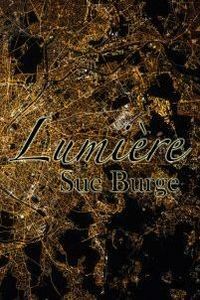 On one memorable occasion I nearly fell over him on the pitch dark beach as we walked back from the cinema one evening. So, we thought we’d check whether he’d made a Christmas visit to “our” beach. 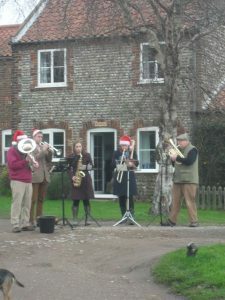 As soon as we came out of our front door we could hear a brass band playing carols and there, on the Lower Common, was a five-piece brass band which played all the classics for around forty minutes. They were three generations of the same family raising money for Parkinsons Disease. The whole village turned out, there were hugs and kisses and Christmas greetings and children who’d decided to stay in the warm calling out of top-floor windows. It all felt very cosy and Miss Marple, hopefully without the murders! 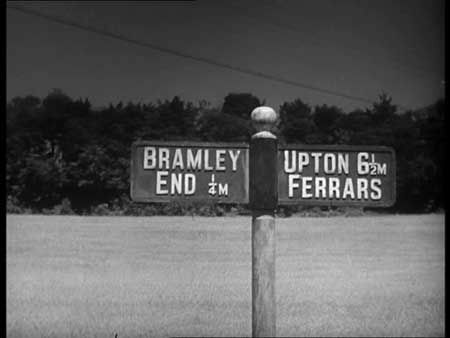 Another of my favourite screen depictions of a village is Bramley End in Cavalcanti’s thought-provoking 1942 film for Ealing Studios Went the Day Well. Based on Graham Greene’s short story The Lieutentant Died Last, this was a propaganda film designed to alert the country about the dangers of being complacent about the possibility of invasion. In the film, the villagers of Bramley End are far too trusting and are overrun by Nazi paratroopers posing as an English battalion. There’s a cast of much-loved 1940s actors – Leslie Banks, Thora Hird (in her first major role), Harry Fowler, Mervyn Johns, Valerie Taylor, Patricia Hayes, Basil Sydney… The village (actually the very pretty Turville in Buckinghamshire) is shown as an English rural idyll, depicting very successfully what we were fighting to preserve. On Boxing Day we set forth along the beach to Cromer Pier to catch the traditional Boxing Day swim. Again, a lovely atmosphere with the whole town out in force. We continued to Overstrand for a festive drink at The Sea Marge. This is a gorgeous hotel, largely Arts and Crafts in style, in a former Edwardian mansion house, once owned by Sir Edgar and Lady Speyer, great friends of the Churchills. Winston and Clementine were holidaying here with their children just before the outbreak of the First World War and it was from here that Winston Churchill made the call to mobilise the fleet before hurrying back to London. The house was one of the first in the area to have a telephone line. Edgar Speyer was an American-born financier with German heritage and, of course, at this time there was great suspicion of those of German descent. 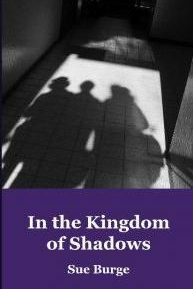 The Speyers were ostracised locally and accused of disloyalty and treachery. One of the accusations was that Speyer had been signalling to German submarines from the clifftop gardens of The Sea Marge. The Speyers left the country in 1916, never to return. Today the Grade II listed building has a very friendly bar where muddy boots are acceptable and you can play traditional bar games such as Shut the Box and cribbage at your table as you sample the local beers. I’m very much looking forward to seeing Gary Oldman depicting Churchill’s role in the Second World War in The Darkest Hour which is out this week. 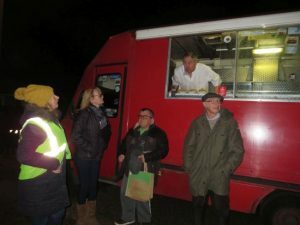 A highlight of the village week is the arrival of the Fish and Chip van in East Runton. This sturdy red van appears at 6pm every Wednesday, ably commandeered by Paul who knows everyone’s location in the village, name and, more importantly, food order! New Year’s Day was very different for us this year. Normally it’s an anti-climax after all the sparkliness of Christmas but this year, at 5pm, we stood on the beach with the tide coming in and waves lapping at our wellies to watch the spectacular fireworks at the end of Cromer Pier. There were thousands of people packed on the beach and the clifftop promenades, a wonderful communal way to bring in the New and say goodbye to the Old. We let our salty wellies dry in the warmth and comfort of the Regal Movieplex in Cromer, watching The Greatest Showman. Musicals aren’t usually my favourite genre but this was such a heartwarming, feelgood film, impossible to dislike and a suitably vibrant and colourful follow-up to the fireworks. I don’t make New Year Resolutions, having decided at a young age that they only lead to disappointment in both oneself and the world. Living in such a lovely rural and seaside area with great walks literally from our front door has made me live more for the moment and to relish them all, which seems as good a princile as any to take forward in 2018. Congratulations on an excellent move you sound very happily at home already. I’m sure your creativity will respond to this new environ and evolve even more, I’m looking forward to what comes next in your poetry and reading another blog. Happy New Year !